Over the years, men’s preferences for facial hair have changed, from full Old Testament-style beards, to elaborate Civil War-era sideburns and moustaches, to clean-shaven and back again. Through all those trends and styles, men have looked for the perfect shave with best shaving soap and for a product that would allow a shave that’s comfortable for the skin and safe. Today, we’re used to the convenience of aerosol shaving cream and a cartridge razor, but many men are turning back to the old-school shaving soap method. The best shaving soap is a hard cake of soap that can be whipped into a froth using a shaving brush and a cup. It can then coat the face for a close shave, providing protection for the skin and lubrication for the edge of the razor. Shaving soaps have been around at least since the early 1800s – Williams designed a soap that was to be used in a mug rather than a shaving scuttle, and has been produced since the year 1840. In the mid-19th century, shaving sticks were introduced, with the best shaving soap pressed and formed into a cylinder shape. 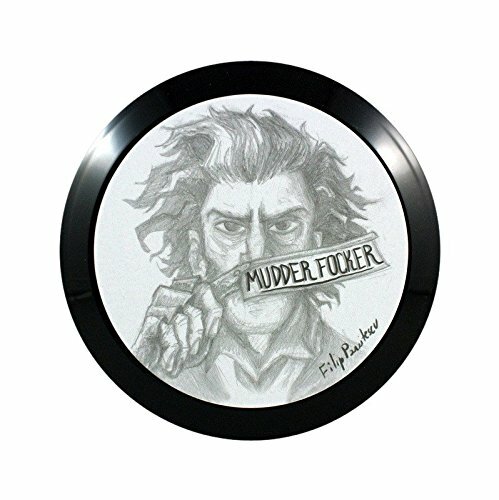 In keeping with tradition, shaving soap and shaving blades is can still be found as a round puck that’s intended to fit in a shaving scuttle or mug, although it can also be found in a stick form. The best shaving soap will often include both potassium hydroxide (for a softer soap and better lather) and sodium hydroxide (for a harder soap that can last longer in a mug). It will also often incorporate palm oil, coconut oil and fatty acids for lubrication and a thick, heavy lather. Some of the best shaving soap contains natural soothing ingredients like the Pre de Provence Shave Soap. While they’re more expensive, triple-milled soaps are harder. It results in a product that is more difficult to work into a lather. However, it lasts longer than a softer soap or a croap (shaving cream/soap). When we say “more expensive,” we mean they could run as high as $50 for a single puck – but you can get as much as six months of use out of that puck. A hard soap is hard enough that it will need to soak several minutes in hot water before it can soften up enough to deliver a good lather. If you’re the kind of man who’s always in a hurry, that could be a consideration to keep in mind. On the other hand, there are croaps that can give you a great lather without the need for pre-soaking (but may not last as long). For traditionalists, there are shaving soaps available that still use tallow, like the shaving soap you might have found 150 years ago. Some people are understandably put off by the idea of using a shaving soap that’s based on animal fat, and for those folks there are products that use olive, coconut, palm or argan oil to facilitate good, luxurious lather and a nice comfortable shave. Less expensive soaps may use glycerin as a foaming agent and lubricant. For decades, British shaving products have had a reputation as being some of the best available (with German-made shaving products coming in a close second). 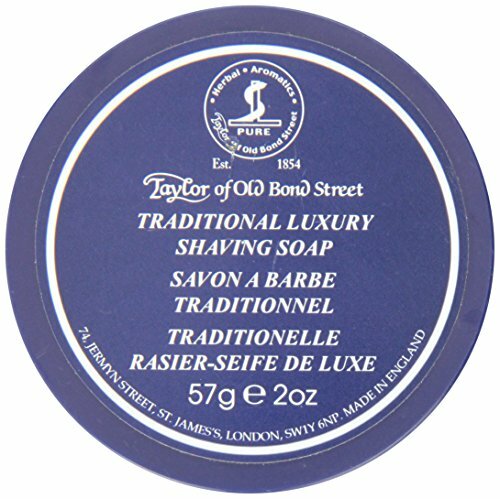 Taylor of Old Bond Street’s best shaving soap is one of our favorites, for its sandalwood scent and suitability for sensitive skin. In addition, Taylor includes a reusable wooden bowl with the soap. Not a fan of sandalwood? You can choose other exotic aromas that include avocado and grapefruit! As with any other soaps, building a lather can be a bit time consuming. The result is a shaving soap that feels more like a facial with thermal mud, leaving your face feeling smooth and refreshed. It’s so slick that it allows an easy, painless shave that’s incredibly easy on the skin. If you’re worried that it might be a little on the fancy-pants side, it’s got a nice scent with vanilla and tobacco in it, for a product that’s masculine and cologne-ish. It can be too creamy and bubbly for some. 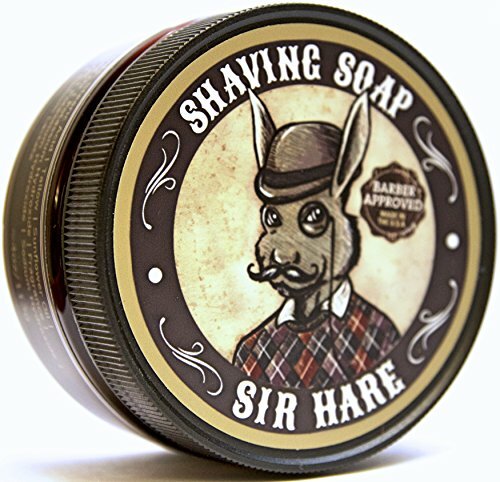 ​This is a very old-fashioned barbershop shaving soap, right down to its packaging that features a monocled rabbit sporting a derby, striped vest and handlebar moustache. It’s a tallow-based soap with a rich lather and nostalgic barbershop scent, and is enriched with mango and shea oils for sensitive skin. Made of natural ingredients to moisturize and protect your skin while shaving and fighting common skin conditions people experience while shaving. One may have to work more for lather. It may also leave more residue on the shaving blade. Thinking about making the switch over to shaving soap? You don’t have to go all the way and start using a straight razor or double-edge, you know. Just find the best shaving soap for your face, give it a try (remember to use a good quality brush) and you might be surprised at how easy it is on your skin and how good a shave it offers.